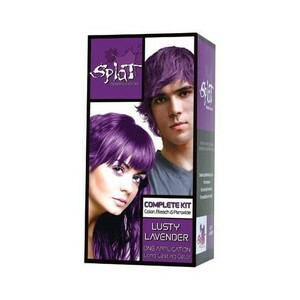 I used the Splat brand pretty much any time I want to do a crazy color. I like to change my hair so the temporary color is perfect. It fades more if you use hot water instead of cold. The color part smells like berry jello to me. I have used this color numerous times over the years and it is by far my favorite. The color is very flattering and is not "too over the top" for a fun look. 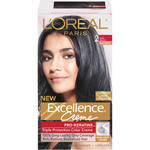 However, you do need to bleach your hair (and the bleach in the kit isn't very strong. Although, in the end I would say that is better for your hair! Bleach is horrible!) The color starts very vibrant. It does fade. Its demi permanent its not supposed to last too long. Every wash will make it less and less there. Then, if you want to keep it colored.. Recolor it! 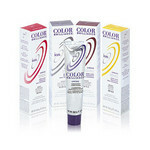 When applying any splat hair color avoid contact with skin and all surfaces. It will undoubtedly stain! Also, beware that every time the colored hair is wet the color will bleed onto clothing, towels, etc. 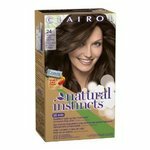 I would for sure recommend to a friend or anyone who loves coloring their hair in a non-traditional way. I think this product is great. The instructions are easy to understand. 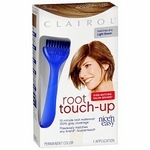 The dye is easy to put on my hair. The bad points, #1. It doesn't last longer after application of the hair dye. #2. If you get it on anything besides your hair, it WILL stain everything, tub, hands, arms, ears, face, ceiling (if the water hitting your head sprays all over). But I definitely like the product, I would buy more in the future. 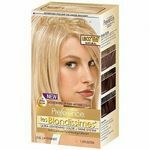 Let me start by saying this product comes with bleach and in order to get the color shown in the box, your hair does have to be bleached! As a professional, I myself, would not trust anyone to bleach my hair unless they, them self, were a professional. If not done right, bleach can severely damage hair! I have actually seen people bleach their hair them self and end up literally melting all of their hair off. It may sound like i am exaggerating, but trust me! it has and can happen! Also, if bleach gets on your skin (remember you are applying this near the scalp!) it can cause chemical burns. Last but not least, this product doesnt come with any toner. When bleaching hair there is no way to control what color it comes out as. It can come out orange, yellow, copper, etc... What toner does is neutralize the orange, yellow, copper colors and leaves it a nice natural blonde. But what would happen if you bleach your hair, it comes out yellow, and you apply purple to it without toning it?? THE COLOR WILL COME OUT BROWN!! I strongly suggest going to a professional or at least educating yourself on things like this before going forward. Splat's colors are a hit or miss. I've used Splat plenty of times before when I was committed to having red hair, but each time I've tried something other than red from Splat I've been disappointed. First off, I have very thick brown hair but I did get it up to a level 8 blonde before dying. This purple is a lot more pigmented than it lets on. It's a very deep dark purple, not lavender. Second, it washed out by the end of that week, almost entirely! Someone with platinum blonde hair might have better luck than I did.